Oregano (Origanum vulgare) includes the naturally occurring constituent carvacrol. Oregano, when taken as a dietary supplement, supports a healthy lifestyle regimen and may also be used to enhance the flavor of foods and your favorite savory recipes. Oregano is an important ingredient in ImmuPower™ and a key oil in the Raindrop Technique®. Oregano essential oil smells just like you think it would smell – like a pizzeria. But associating oregano only with Italian cooking does not do this oil justice as it contains many healthy and helpful vitamins and minerals. Cooking: Infuse your favorite recipes with the enticing aroma and taste of Oregano. Essential oils are VERY potent. Start by dipping a toothpick in your oil and dragging it through your food. Olive Oil: Add various culinary herb essential oils to your olive oil, such as Oregano Vitality . Pour over a plate of balsamic vinegar and use foccacia bread for dipping. 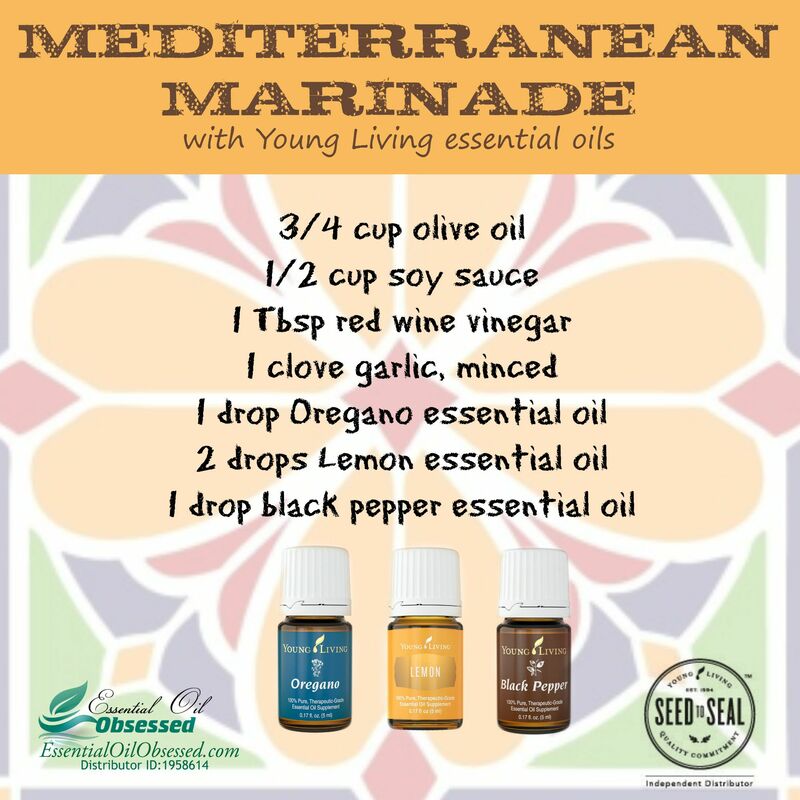 Marinade: add to your marinade for a Mediterranean flare!